Then we have godparents. Each of them has a special utility and the human female selected them according to our needs. The honor of being our godparents was offered to them in order to secure their support. So, Kirk’s godfather is also our official transporter. No, don’t think of Jason Statham, it has nothing to do with him. But every time the main humans are going on vacation for few days, he has the means to transport all our belongings to the temporary servant. Spock’s godmother is one of our temporary servants. I was told this because I had never visited her mansion. 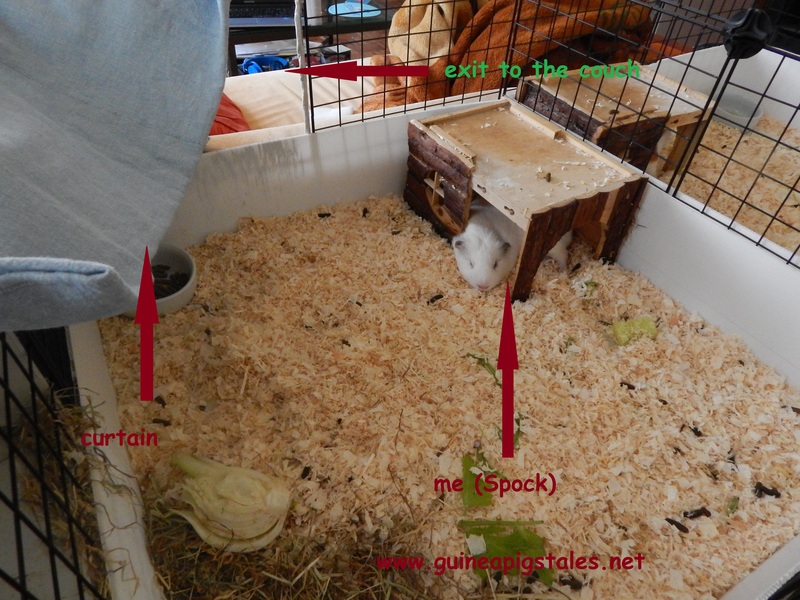 But Kirk and Spock had the chance to stay with her for few days. Data has also a godmother. Actually he got a whole family of godsomething. 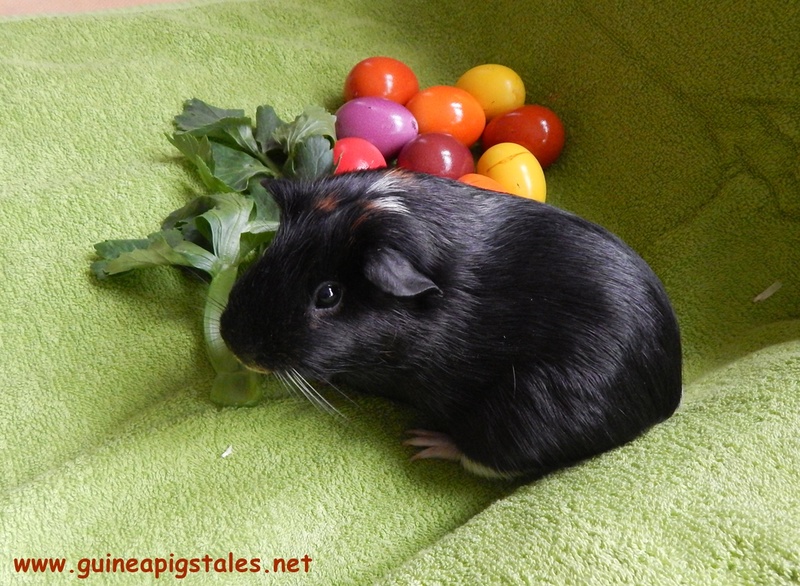 His actual godmother is a little girl of 5, and she is very important in our equation also: her parents were once temporary servants for Spock & Kirk and whenever they visit us, they bring fresh vegies as gifts. I have a godfather, also 5 years old, but a boy. I was speechless yesterday when I heard he watched our short movie and recognized me. Of course his parents are very important for us because they are also temporary servants. On top of all this, we have a vet. 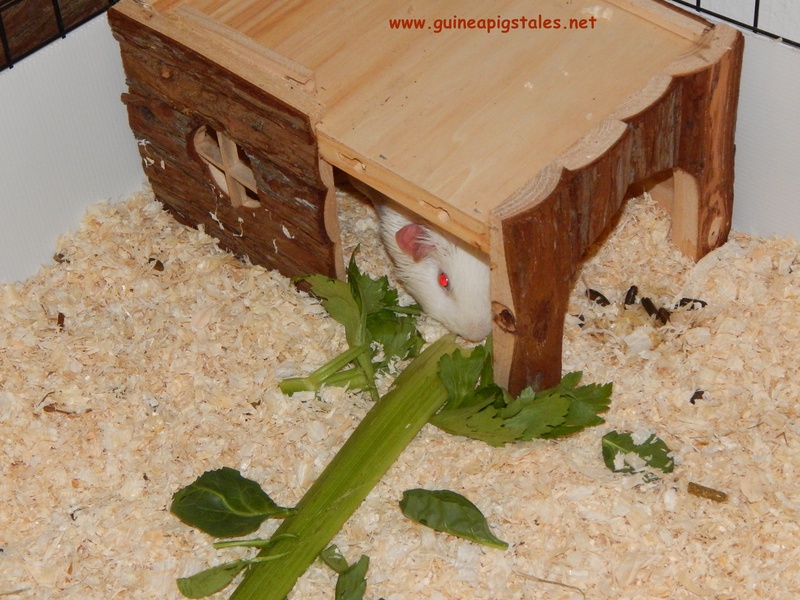 Thanks to The Great Guinea Pig God that we don’t need do see him very often. I mean once per year is more than sufficient. Of course, there are other worshipers around, but they come and go… Do you have you own staff? 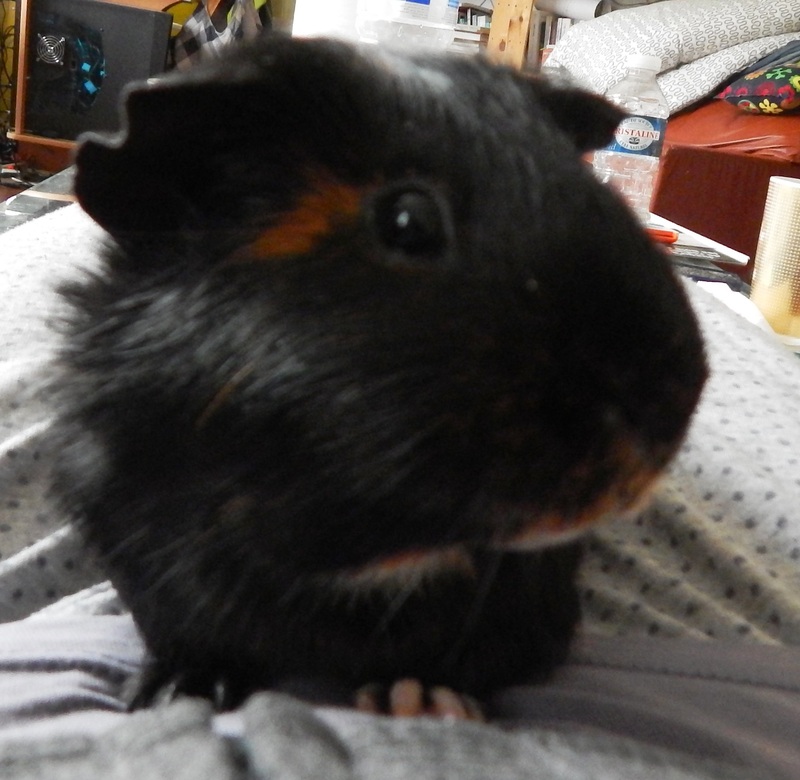 Kirk thinks my epilepsy seizure was due to stress: new piggies in the gang, moving in different rooms, losing the access to the couch etc. So, he proposed a plan on how to manipulate our humans to address these issues. Playing upset was the first step and it worked perfectly fine. The human female can’t stand seeing us sad or unhappy, so she is very willing to give up space, money and other resources to please us. It is awesome to have a servant this dedicated! One day I saw her taking the pliers and starting to cut a grill. She made a square hole and then started to cover the margins in some cloth and tape so I wouldn’t hurt myself when going out. It took her about one hour to prepare everything… But it’s done and now I have again straight access to the couch, paper, invoices etc. True, I’m not yet taking full advantage of the situation, but it will come. And I gave up of my upset face. I even allow again the human female to pick me from the top of my wood house, to pet me on the couch and then to chase me. Fun! Next, I convinced her that sometimes I need a curtain. My own curtain, not the ones already installed in the house. I am the only one with truly red eyes, so almost no pigment, and strong light bothers me. So, a cloth is at my disposal to be arranged on my room in order to allow me to fully explore and use the space with my eyes wide open. Another victory over the humans is the fact they bought a tripod for the camera. We believe we could be really successful in the showbiz industry, but for this we need to have the possibility to show how good we are. So good quality pictures and short movies in full HD are a must! 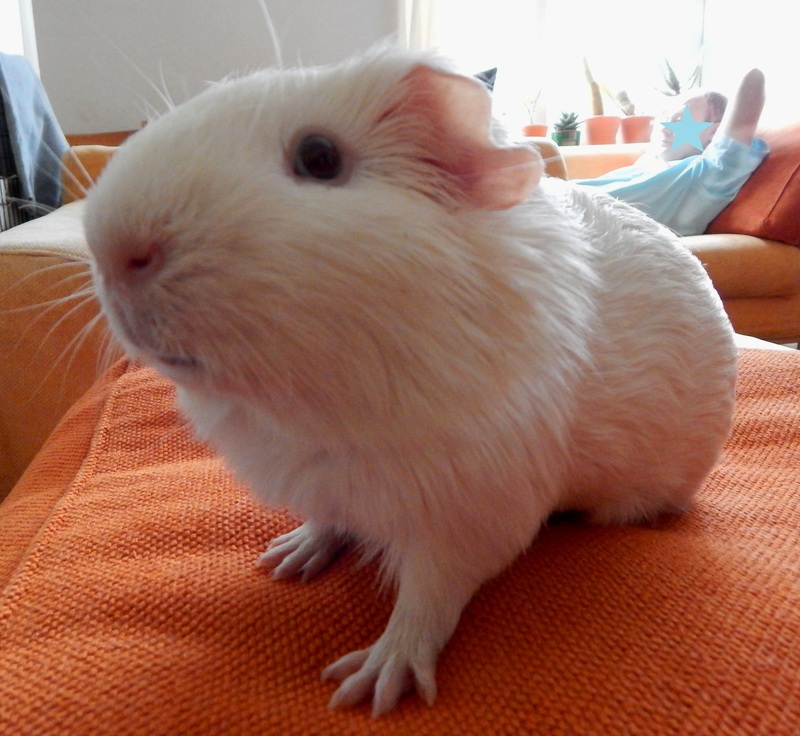 Now that we have the tripod, we can film ourselves and show to the world what a lavish life a Guinea Pig star should have. By the way, our first project was to prove how loud we can be, but we were a little bit intimidated by the camera so not very noisy. Still working on it… Servants are here to support us! Oh, and this morning Data took the time to create a YouTube channel for us and a Google+ page. He really enjoys this entire social media thing. 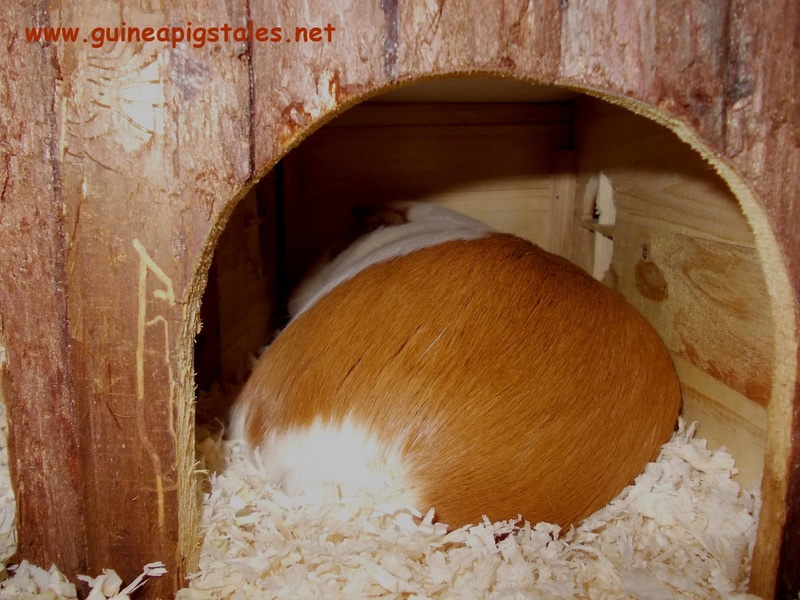 The human female joined some groups on Facebook dedicated to Guinea Pigs. The humans brag there about us, their masters, and exchange opinions on ways of keeping us happy. The other day someone expressed her amazement regarding our ability to change shape and turn into a pancake. 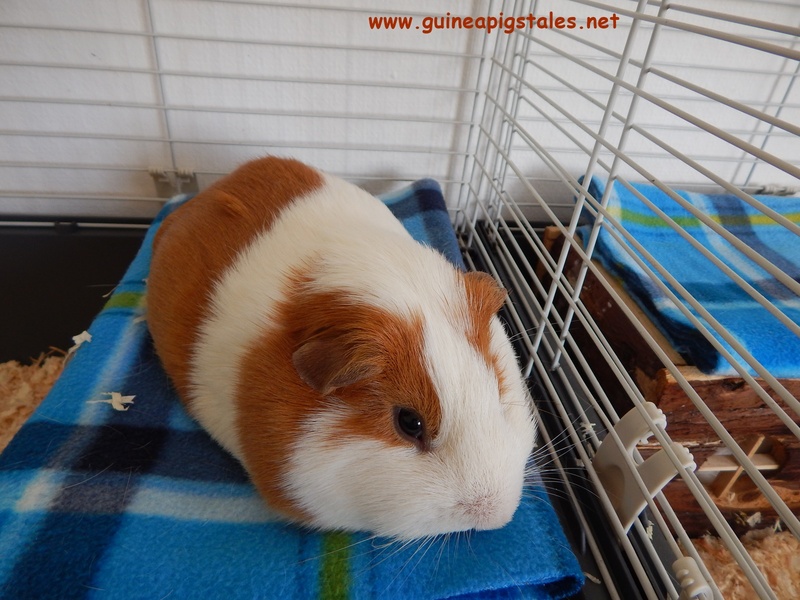 Of course, a lot of people started to post pictures with Guinea Pigs looking like a pancake. I also have some and I’ll love to share them with you. 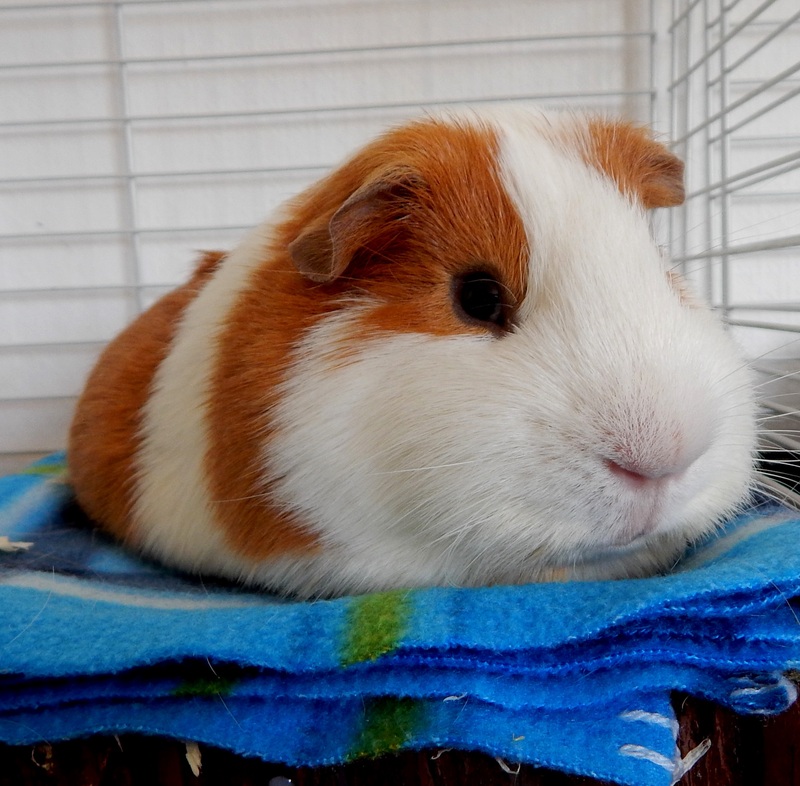 But, before giving you a high dose of cuteness, I would like to explain you that pancakes come in different shapes: some of them are perfectly arranged, others are not that uniform… We, the Guinea Pigs, try to imitate the same. So, there are different pancake’s forms and I’ll show you below. Yesterday Kirk promised that today we will talk about books. This topic is so general and he was so busy eating that this morning we realized none of us wrote anything for the blog. After a small chit chat at the corners of our rooms (the only point where we can all meet), it was decided that I would write. Actually Kirk and Spock delegated me to say something about an article published by the human female on her blog. Kirk is a huge fan of “raw vegan” cook books. He just loves researching new ways of eating the celery greens. But he is not only eating, although it is taking him a lot of time… He is also a very good psychoanalyst with a thorough knowledge of Freud’s and Jung’s writings. I even think he is on his way of developing a brand new psychoanalytical system for humans. 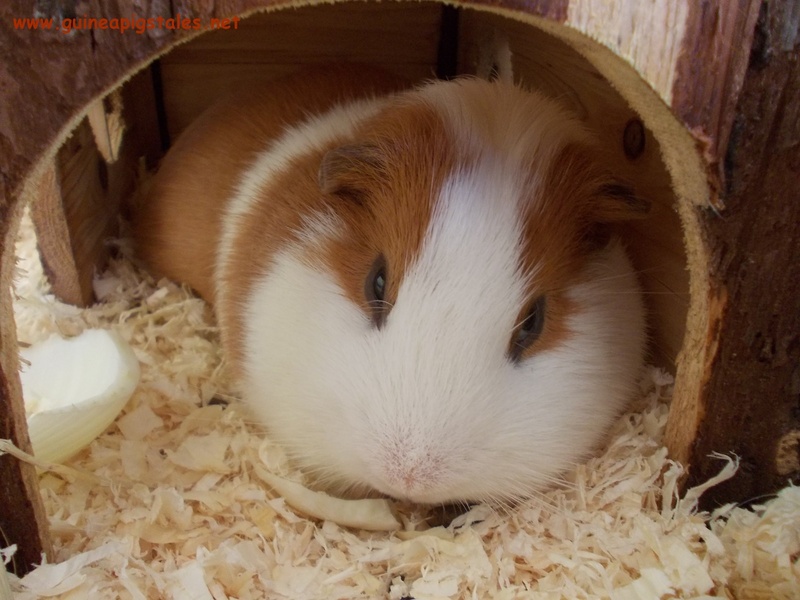 We, the Guinea Pigs, have no secrets for him anymore, but he thinks the gang is generally in good mental health (we still have doubts regarding Data…) so no therapy sessions for us. 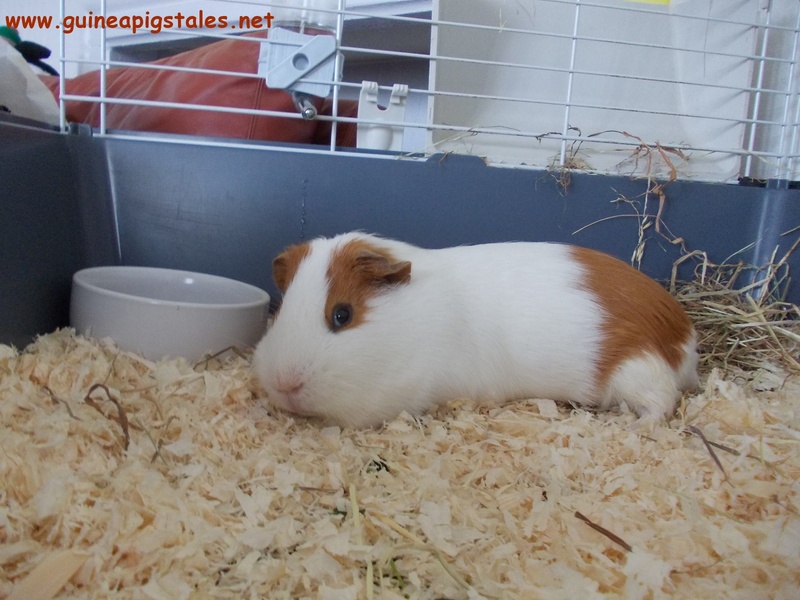 Spock is a very active pig. His main interest is in invoices and receipts, so bookkeeping is more fun than reading. Still he reads books like “10 ways to keep your fur white”, “5 steps to perfect popcorning”, “14 ways to keep your humans happy” etc. I mean this kind of books that you could drop them at any point and after two days will still make sense Also, lately he is searching for some books regarding the ways to cope with a very scared human because of his epilepsy seizures, just in case it will occur again. 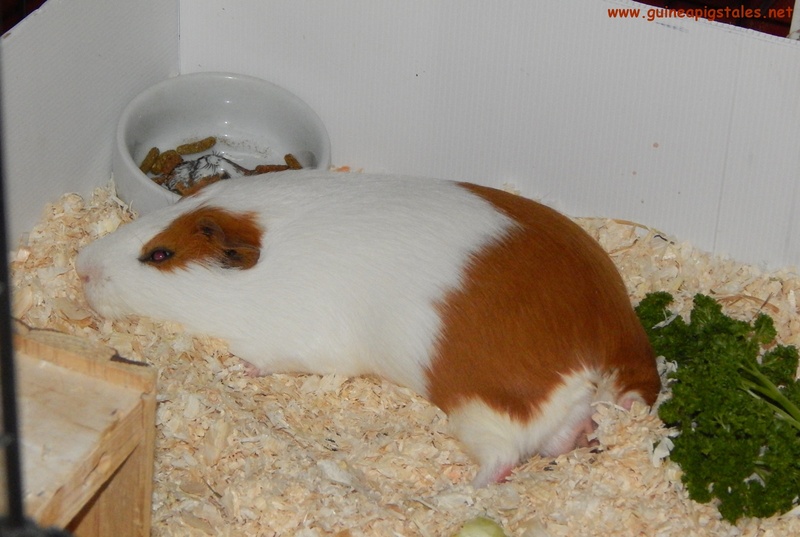 But she actually started with me saying that she wanted to check if I am still around 1.35 kilo and not overpassed 1.4. I was lucky and the scale showed a nice 1.35, so no reason for cutting my pellets off. 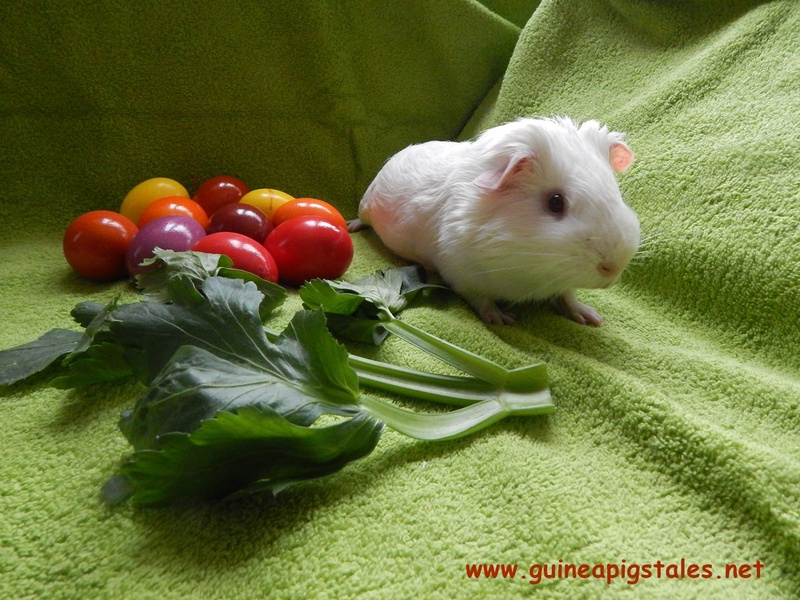 Spock, regardless his epilepsy seizure, was also constant showing a beautiful 1.150 g white furred piggy for the check. Although I was literally on the fence waiting for my food, she continued with Worf and Data and it took her around 10 minutes to catch, calm and weight them. I was almost curious about their situation given the fact they were under treatment for a while. 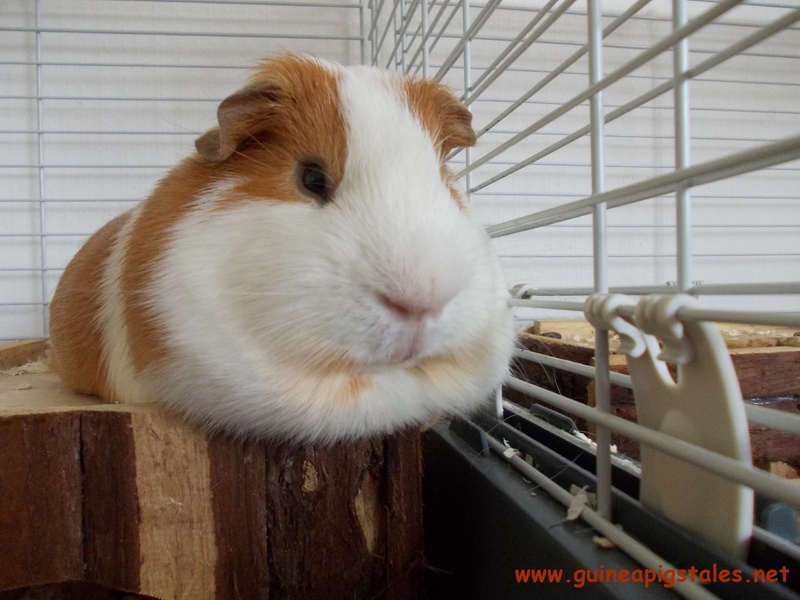 Inexplicably, they were both 815 g. We are all very confused because we can’t really appreciate their age based on the weight. But we are hoping to notice a pattern in the few coming weeks and Spock, who is very passionate with numbers and accountancy, promised to draw a graphic and make some approximations. 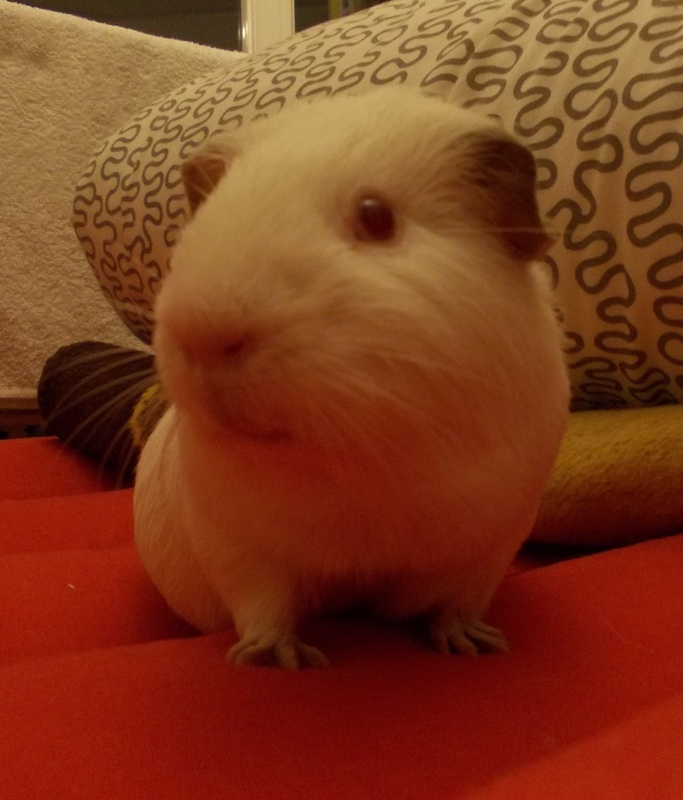 The human female was too sleepy yesterday morning to be able to take pictures also, but I found a snapshot with me from the day I’ve passed 1 kilo. 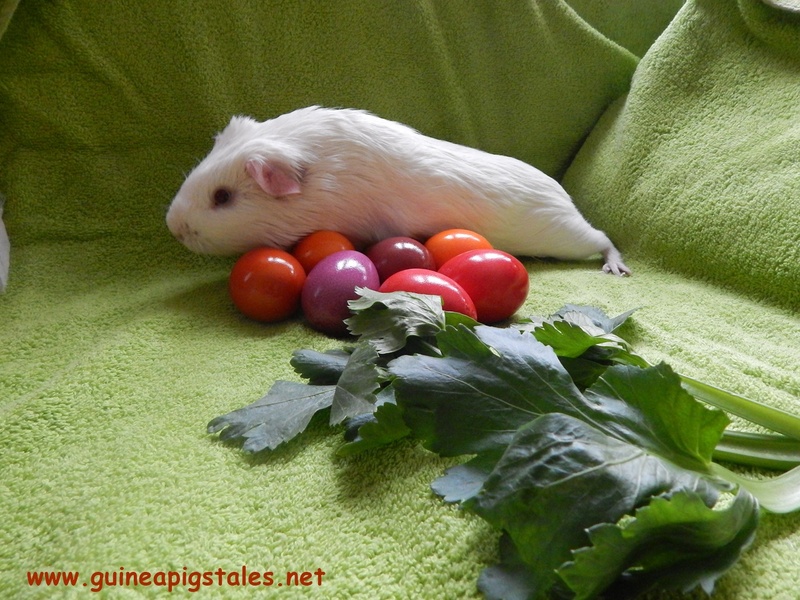 I am a very good piggy and I always eat all my vegetables, so my normal rate of growth was 40 g per week and that day was expected. But anyhow it was joyful. 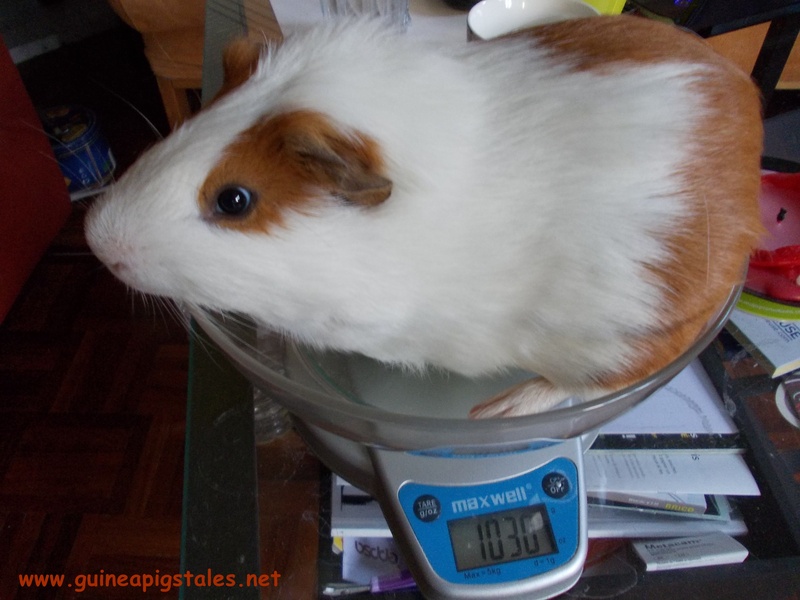 For Spock was a little bit difficult to pass over 1 kilo, but once he did it he stopped only 150 g further. 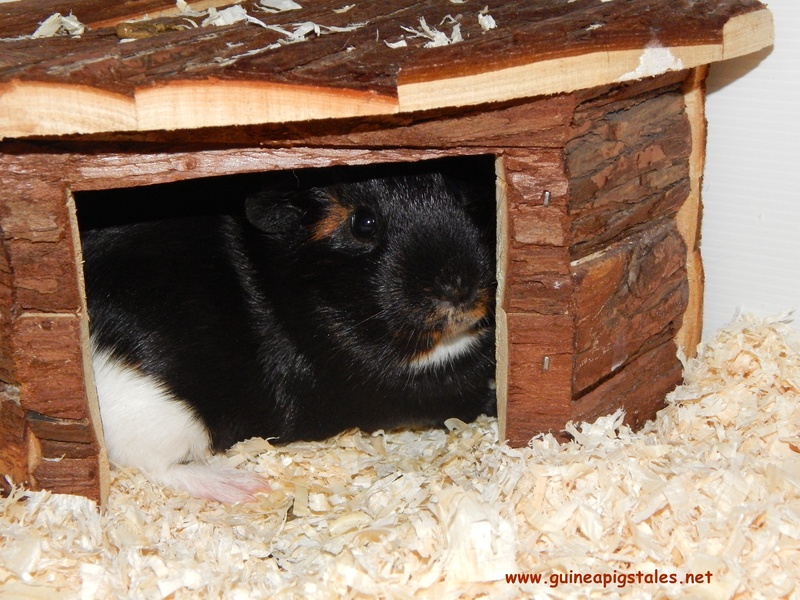 Also, yesterday was the day for cleaning the cages, so we’ve got some time on our own to explore the house. Two by two and in different rooms. But I must say she is becoming more and more of an expert in her attempts to catch us. Now that she can’t really place our rooms on the floor and we would enter by free will, she needs to be creative… I am almost proud of her! But don’t tell her, please. Stay tuned, tomorrow we’ll talk about books.